Service trolley with structure in steel and shelves in sheet steel covered with wood-effect film. 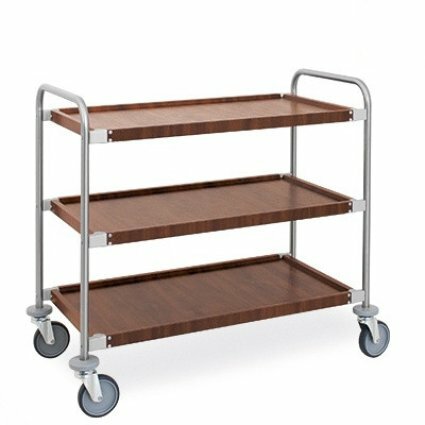 4006 is a service trolley with steel round tube structure (cm ø 2,5) and with shelves in sheet steel that are covered with wood-effect film, available in walnut colour and no sharp edges. Corner joints fixed to the frame, in die-cast aluminium, with rounded inner corners.